A new concept for the lawn scarifier showing a patented belt transmission. 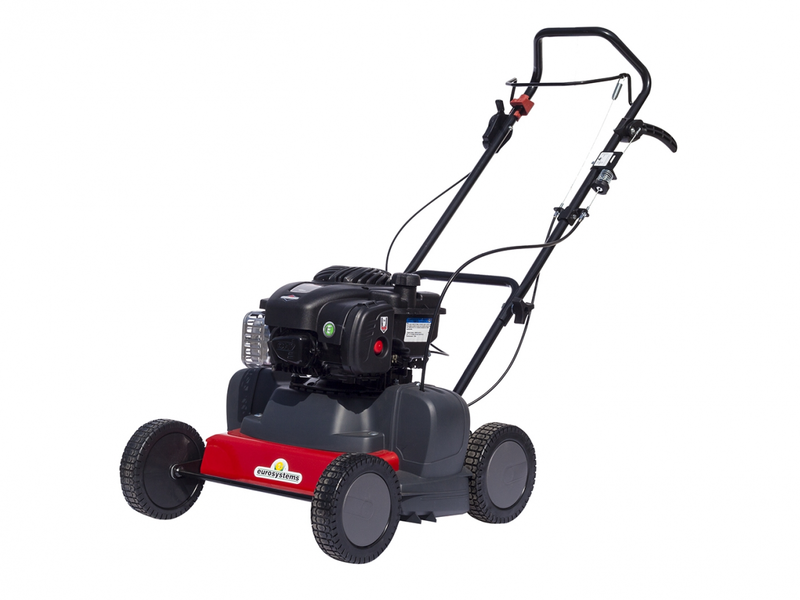 It is assembled with vertical shaft engines type making the scarifier to be considered in a very competitive price level for the end user. The machine is manufactured using a strong steel frame which has been designed to perform an easier grass rear discharge. Rotor is composed by n. 15 fixed knives made in hardened and tempered steel. Wheels …. Cm. 20 with ball bearings. Working depth adjusting system + lever for quick knives lifting for the transport.